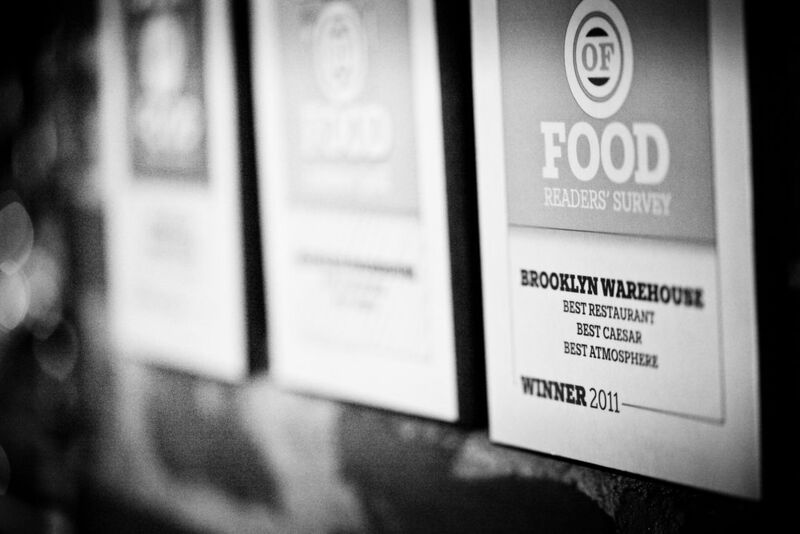 When we learned about this year's "Best of Food" results we could't have been more humbled by the support this city has show us over the years. Last year when we decided to move forward with the daily-changing chalkboard menu we were very aware that this change was a big jump from our regular service but change is something we've always been about here at The Brooklyn Warehouse. In this industry you have to stay consistent but at the same time you have to give your customers an exciting experience and keep people interested in what's going on. From our crowdfunding-based renovation projects to the monthly menus all the way up to our daily-changing chalkboard menus it has been our goal to deliver a rock solid dining experience while keeping things fresh, new and engaging. Above is a video shot by Doug Townsend back in october that gives you some insight into the "whys" and "hows" behind our evolution! Again, WE LOVE YOU TOO HALIFAX! THANK YOU FROM THE BOTTOM OF OUR NORTH END HEARTS! Ever wonder how a restaurant becomes someone's "fave"?